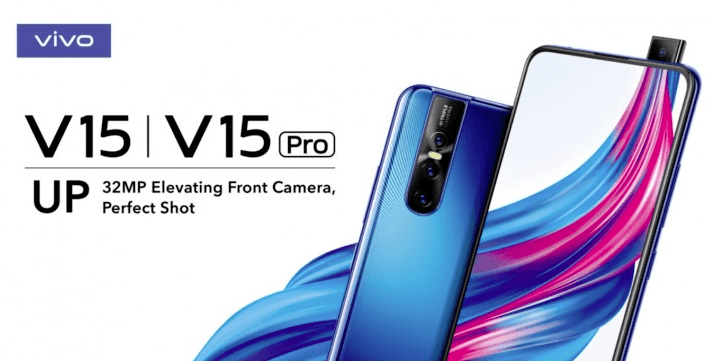 Vivo V15 Pro leaked Pop-Up Cam exclusive! Vivo V15 Pro which is supposedly the successor to last years V11 Pro is launching in 20th February 2019. As you are already thinking by now, we too are confused with the naming conventions. Though it’s awkward, we can’t do much about that, can we? 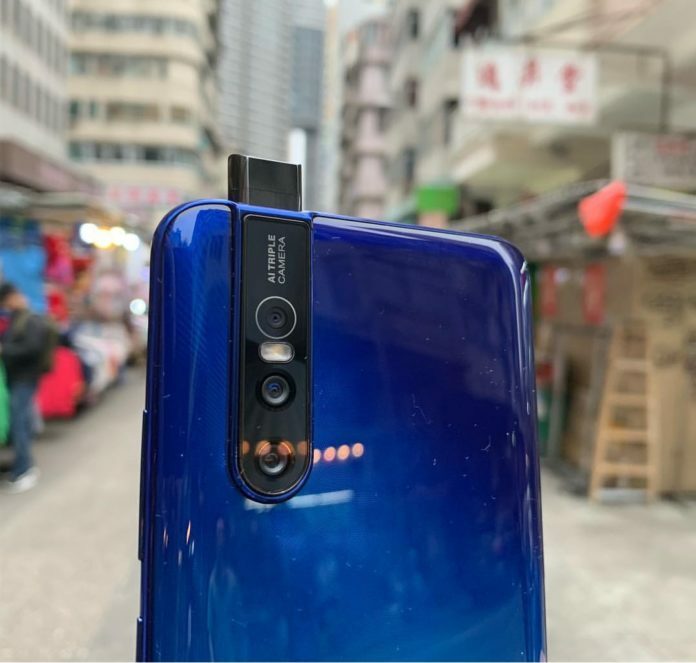 Moreover, we all knew Vivo’s pop-up camera segment to be known as Vivo Nex. However, thing ain’t that simple now. Vivo Nex-2 launched with dual-display technologies recently. Now, this makes the Nex-line continue as an R&D segment by Vivo, trying to avoid the notch. And hence, Vivo was unable to launch Vivo Nex-3 too early. Not only the time-bound, but the company also faced issues with serializability. Think of it, Vivo Nex with a pop-up camera, Vivo Nex-2 with dual-display and Vivo Nex-3 again with a pop-up camera? Doesn’t look cool. 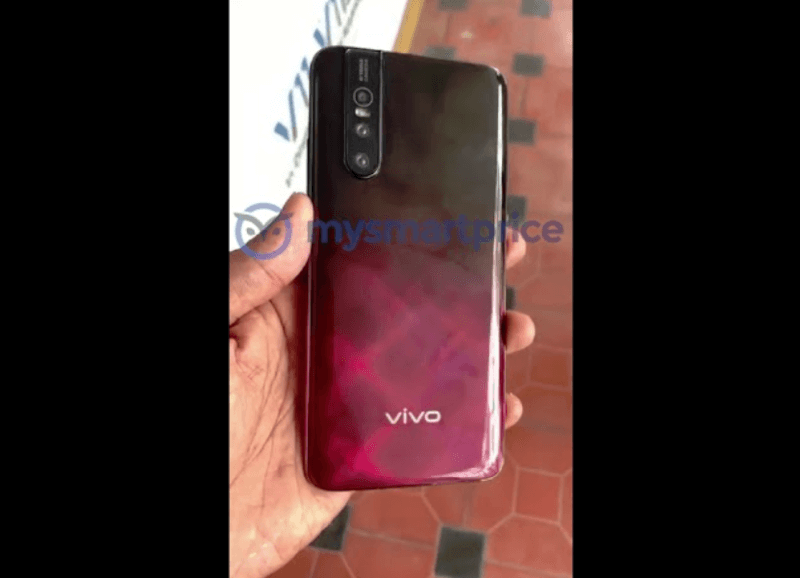 We have the exclusive image of Vivo V15 Pro with its pop-up camera before the launch which by this time you already noticed. The only concern we felt is the symmetry. The oval flash in between top-2 cameras somehow hurt the ergonomy and symmetry of the device. Though, with a gradient back according to leaked images, this phone will not fall behind the current trendy standards. So skipping V12-14, we have the Vivo V15 Pro now on the verge of launch. Vivo V11 was one of the few value-for-money offerings by Vivo at the time of its launch. After that, the company emerged as a giant and provided many good phones. We can also observe that the V-Line by Vivo is upgrading rapidly. V5 came with a 16:9 display and MediaTek 6750 chip inside. V7 came with an 18:9 display and SnapDragon 450 processor. V9 came with a 19:9 display with an average-size notch and SnapDragon 626 processor. V11 Pro came with 19.5:9 display with a dew-drop/tear-drop notch with SnapDragon 660 processor. And now, Vivo V15 Pro will be launching with a pop-camera mechanism and SnapDragon 675 processor. The history of the fingerprint in V-Series of Vivo phones are keep changing and upgrading, it started with Vivo V5 when the fingerprint sensor used to came on the front, which was shifted on V7 & V9 to the rear and placed under-display since V11 Pro. We can observe that the upgrade curve of Vivo is increasing exponentially and it’s a good step. Hence, we, as consumers, are getting our hand on better offerings. Not to forget, Vivo has already reduced the price to performance ratio which is commendable for the Indian consumers. The rumor and Twitter leaks suggested that the device might come under Rs. 30,000/- price segment. However, looking at the current trend of Vivo, we can assume this rumor to be true. Vivo is going to do tabaahi in India..